Burgers are a major part of foodservice business, with more than 50 billion served each year. That's why burgers, although highly popular, are an area that is ripe for innovation. Chefs who are trying to meet the needs of a shifting guest base that wants to eat healthier without sacrifice, are reinventing their burgers. That is one of the reasons the James Beard Foundation has developed Impact Programs committed to establishing a more sustainable food system through education, advocacy and thought leadership. They believe every chef can make a difference, and for several years have turned their attention to burgers, among other initiatives. As burgers continue to rise in popularity, the James Beard Foundation is gearing up to host the 3rd annual Blended Burger Project™, which kicks off Memorial Day, 2017. 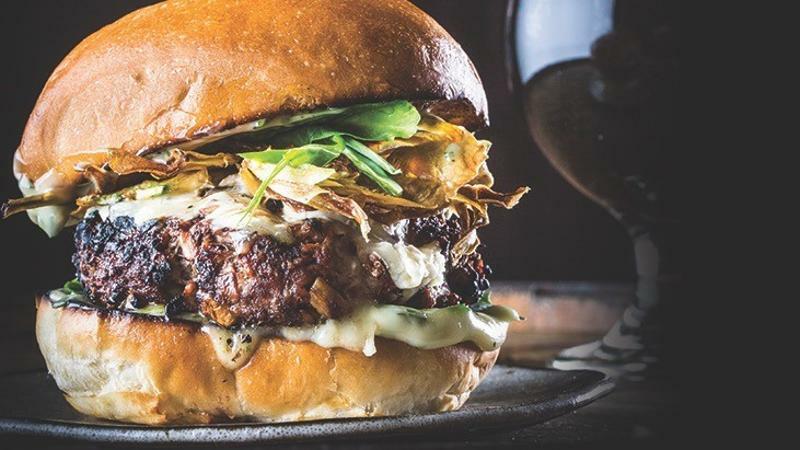 The Blended Burger Project™ is a movement that strives to make burgers better by blending a ratio of at least 25% finely chopped or diced mushrooms with ground meat, creating an incredibly delicious patty that will meet the changing needs of your guests—who are seeking more nutritious and sustainable dishes. Chefs in every segment have the opportunity to make a significant and sustainable difference by reimagining their burger and making the world a healthier place. If you are making burgers, the James Beard Foundation wants this to be your business. Create your own take on a blended burger and menu it throughout the promotion period, Memorial Day through July 31, 2017. The five chefs with the most online votes will win a trip to cook at the historic James Beard House in 2018. It’s the way you can make an impact. New this year, your guests will have an incentive for voting as they can win an all-expenses paid trip to NYC to see you cook at the James Beard House.